Hey there! Thanks for dropping by The Hungry Husky! Take a look around and grab the RSS feed to stay updated. See you around! By combining kale, cucumber, apple and mint leaves, you’ll have made yourself this crisp, clean and refreshing green juice! The main flavors are the apple and the mint. This is a very subtle and easy-to-drink green juice that will provide you with good amounts of 4 different vitamins and 13 different minerals! Start by washing your kale leaves, cucumber, apple and mint leaves. I then ripped my kale from the actual stem, which I do not juice. 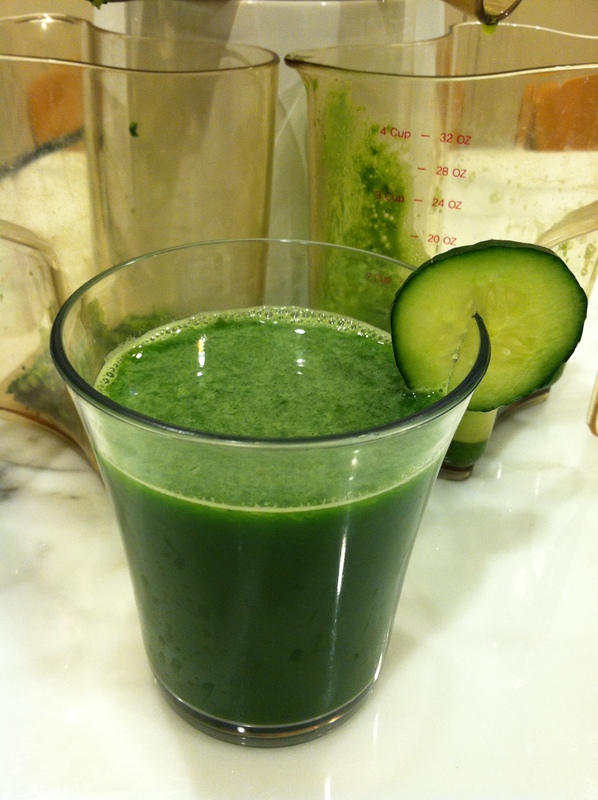 I cut the cucumber and apple into smaller chunks that I knew my juicer would be able to more easily process. I started juicing by putting in all my mint leaves followed by some apple and cucumber. I then added in some kale and alternated adding in apple or cucumber so that the kale would be more easily processed by my juicer. I continued this way until I had juiced all of my ingredients. You’ll be left with one and a half cups of this delicious, refreshing, slightly tart green juice. Enjoy immediately or store up to three days in an air-tight container! One serving of this kale cucumber apple mint juice will provide you with 206 calories, over 1,000 milligrams of potassium and 7 grams of protein. This juice gives you good amounts of 4 different vitamins. This includes 12% of your daily vitamin E, 24% of your daily vitamin B-6, over 200% of your daily vitamin C and over 700% of your daily vitamin A. 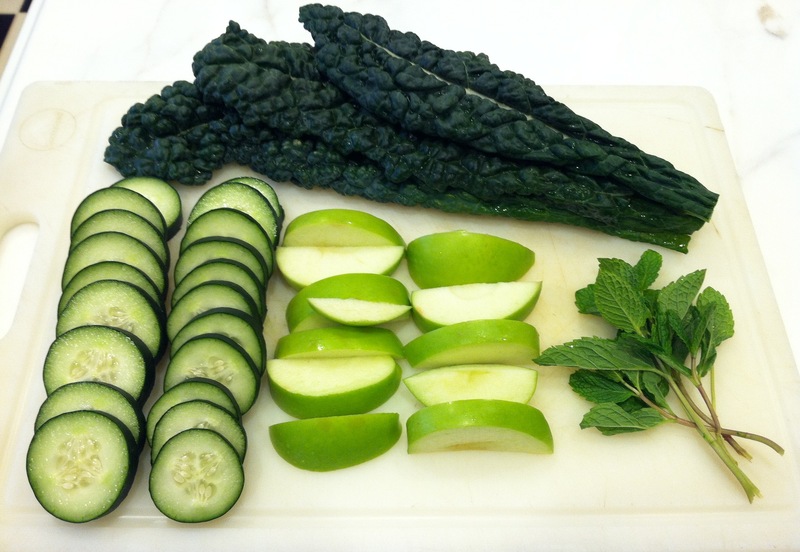 This kale cucumber apple mint juice also contains 13 different minerals. Some of those include: 18% of your daily folate, 22% of your daily calcium, 25% of your daily copper and 65% of your daily manganese. The complete nutrition facts can be seen in the images above and have been calculated using Sparks Recipe Calculator.